A funny vinyl decal for children. Give your child's room some colour with one of our pirate wall stickers. Ideal to decorate any space at home or environments for children such as schools and nurseries. Is your child a huge fan of pirates? Are you looking for a creative and fun decal for your child? If yes, you have found the right sticker to make your child smile. An illustration of a cheeky parrot which is essential for every true pirate. If your kids just love the adventures of pirates, love to dress as pirates and are keen to find treasures in the cupboards at home then transform their playroom or bedroom in a comfortable place where they can play and have lots of fun. Perfect pirate decal to get rid of those empty walls at home! 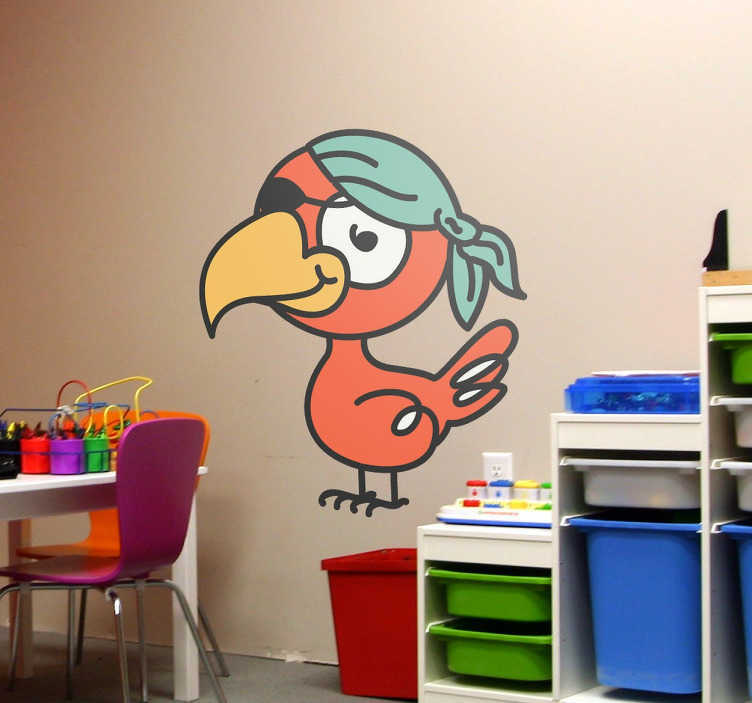 This authentic decal of this pirate parrot is available in a variety of sizes. it is also easy to apply and does not leave any residue upon removal.